Behind a modest, unassuming storefront on Main St. in downtown Mineola awaits a flavor explosion that is Jane Cafe & Restaurant. I have to be honest, this is the first and only Korean restaurant I have ever been to, and I've been told by some of our Korean friends that it is the best Korean restaurant they have ever been to. So I guess I'm pretty lucky that it is located just a few blocks from our apartment! 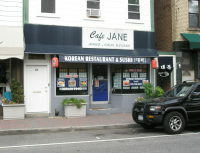 Jane Cafe is tiny, and is literally a "mom and pop" restaurant - you will often see husband and wife behind the sushi bar and in the kitchen, with their sons serving the food. Jane only has about six or seven tables, and is completely lacking in the ambiance, decor and service departments, but it really doesn't matter because the food is THAT good. 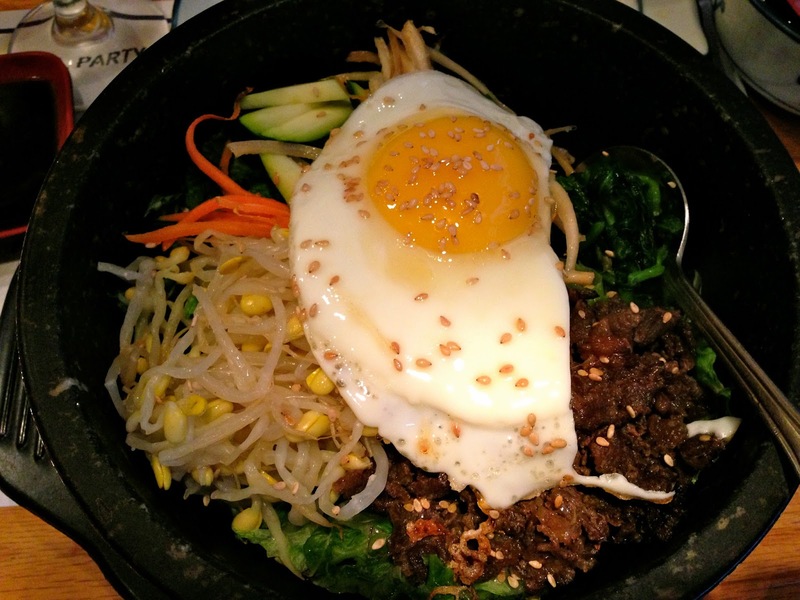 Specializing in Korean food and Japanese sushi, the star of Jane Cafe is without a doubt the Dolsot Bibimbap - a hot stone bowl filled with whole-grain rice, tons of fresh vegetables and bean sprouts, and bulgogi (marinated strips of beef), topped with a fried egg. 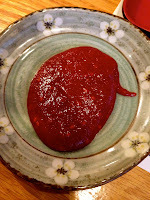 It is served with a side of gochujang, a hot chili paste, which you pour into the bowl before mixing it all up, cooking the egg further while you stir. The best way to describe the dish to someone who has never tried it is like the best version of fried rice you have ever had, although it's not fried and the ingredients are incredibly fresh. I will get back to this dish - let's start from the beginning. Kim Chi - make sure you ask for it! Sometimes they will bring you small dishes of assorted kimchi when you sit down, but for the past year or so we have had to ask for it, so definitely ask for the kimchi! Usually it is the traditional cabbage version, which is super spicy and delicious. The best spicy tuna roll, anywhere! We cannot go to Jane without ordering one or two orders of their spicy tuna roll. It is the BEST spicy tuna I have ever had, because it's so unique and delicious. It has a different spice than the typical Japanese spicy tuna, which is usually flavored with Sriracha hot sauce, and it does not contain any mayonnaise, which makes my husband very happy. I don't know how Jane flavors their spicy tuna, but it's really hot, full of flavor and nutty from the sesame seeds. 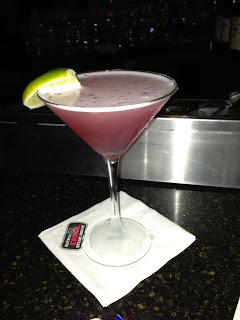 You just have to try it! Most of the entrees at Jane also come with a little bowl of miso soup, and it's actually an excellent, less fishy version of miso soup. 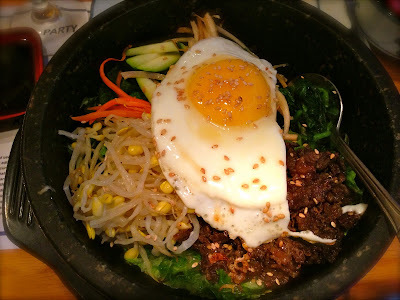 OK, back to the best part: Dolsot Bibimbap. It comes to you sizzling hot in a stone bowl. The steam coming up from the bowl brings an array of savory aromas - the sweet and spicy marinated beef, the fresh julienned veggies (zucchini, carrots, bean sprouts, spinach and mushrooms), the sesame oil and sesame seeds, and the spicy and sticky gochujang, hot chili paste on the side. 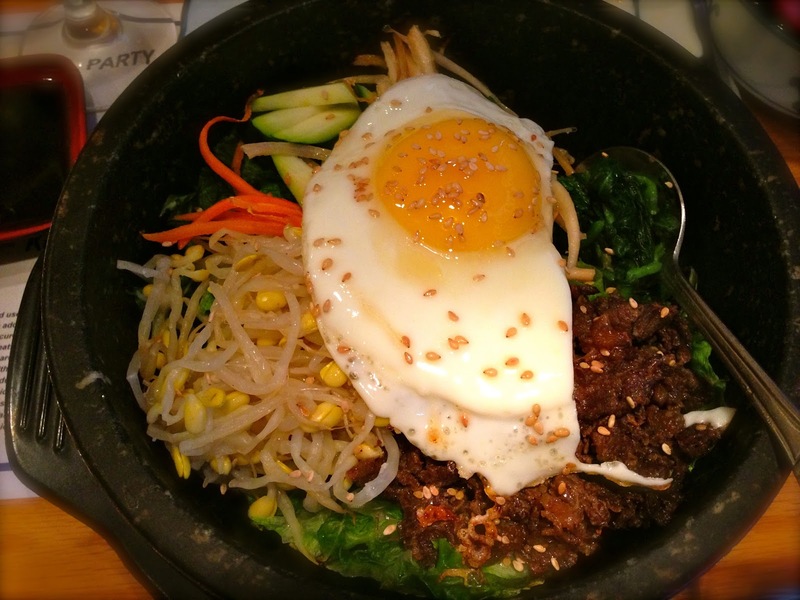 The sunny-side up fried egg is placed right on top, begging for you to break into that yellow yolk. So you do - you take your spoon and break the egg up, you add some chili paste and start stirring and mixing, cooking the veggies and the egg even more and mixing it all into a delicious rice meal. This dish stays really hot the entire time, so it takes a few minutes to cool down enough to eat, but it is so worth the wait. When you're done, you are really full but in just a few minutes that full feeling goes away and you just feel really good. I think it's because all of the ingredients are very healthy. The rice is a whole grain like a brown rice but almost has a purplish hue to it. All of the veggies are fresh, and the meat is more of a flavor addition rather than the main event. And you can add as little or as much of the chili paste as you want. I think this dish really is the perfect meal. I found this great little how-to video on the blog Brooklyn Table on how to make a version of it yourself at home: Check it out here.